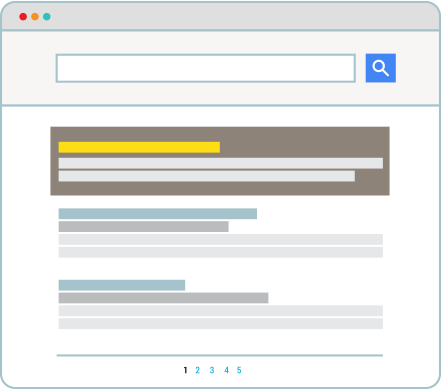 A market leader in Search Marketing solutions, Atomic Search strives to get the most out of key advertising tools, including Google AdWords. An effective, flexible and noncommittal solution tailored to your budget and deadlines, that will help you promote your company, products, events or services via the use of search engines. Placing an advert is free of charge and at the same time, you are highly visible to the internet users you are trying to reach. You will only be required to pay a fee once a user actually clicks on one of your adverts or web links. Our results are not only immediate, but measurable. 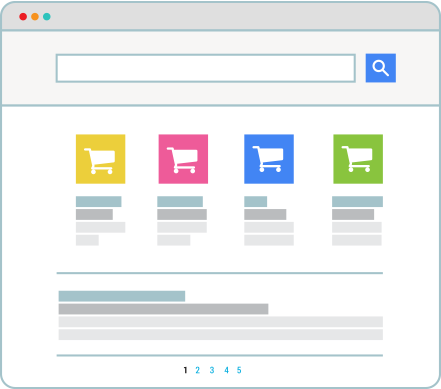 Showcase your products on search engines and let yourselves be known to all online buyers – purchasing items using their computer, tablet or smartphone – via adverts appearing on search engines. 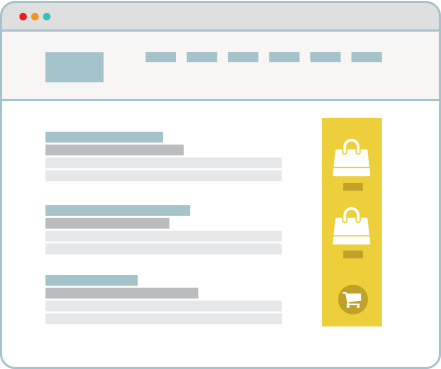 Thanks to online commercial links, internet users are able to compare your products with those suggested by rival companies, or to buy from you directly or via your online portal. Ninety-seven percent of internet users rely on online searches to find nearby business and services. Atomic Search increases your company’s visibility by publishing the most relevant and useful information on search engines, mapping tools and social media. Opening times, contact details, address: whatever the device used, internet users will have unlimited access to your company’s information. Google’s Display Network (YouTube, Gmail and millions of other content websites) – the biggest advertising network in the world – allows you to reach target customers via adverts displayed on millions of information pages, specialized websites, video websites, blogs and mobile apps. It is an easy and economical way to advertise across millions of information pages, specialized websites, video websites and blogs with both a high engagement rate and a low bounce rate. Placing your advert on the Display Network will allow you to: improve your reputation, reach a broader audience, accompany your customers throughout the entire purchasing process, and increase your conversion rates. Remarketing enables you to convert potential clients into loyal ones. 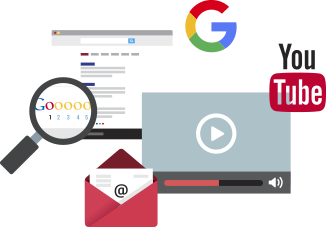 Once someone has visited your website, this marketing solution shows internet users adverts that match their previous searches as they continue to browse the web, go on other websites affiliated to Google’s Display Network, or visit websites similar to your own. In essence, it is a unique marketing tool that skillfully lures people right back to your website.  More than one out of five online searches are local; your future clients are probably just a stone’s throw away. Engage with them via their smartphone and get them to call you directly or pay you a visit. Do you have a mobile phone application? Millions are currently available on the market, but how can you make sure that yours will be the one to stand out? Thanks to our efficient marketing solutions, we are able to connect internet users to your mobile phone application and to maintain their interest throughout; making sure they truly enjoy and benefit from what your app has to offer. Work with Atomic Search to boost your app downloads and rank at the top of best-selling charts, including Apple’s App Store, Goggle Play Store on Android, and Windows Store.